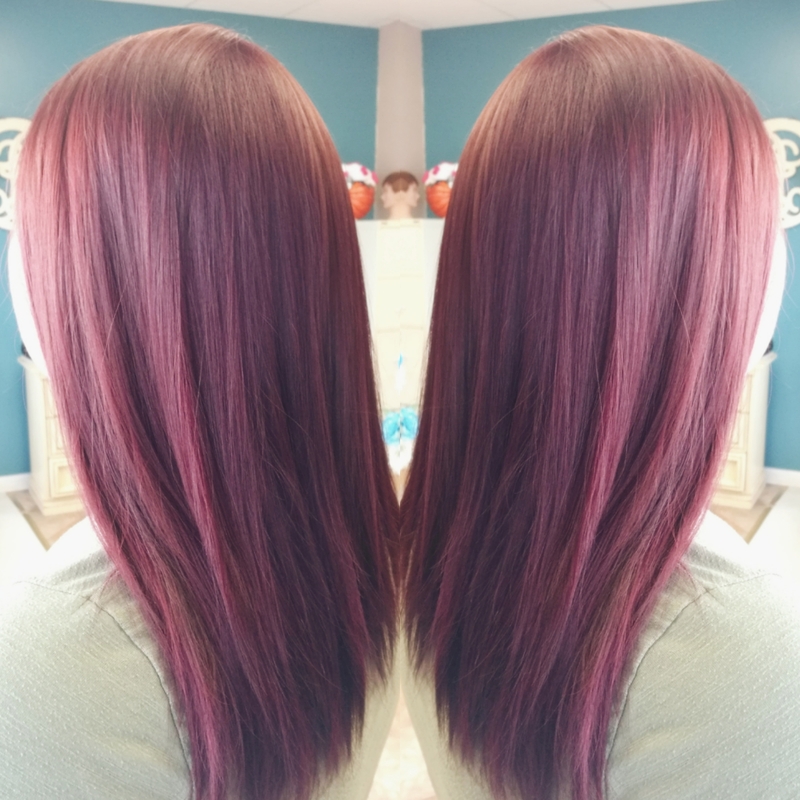 The first All Over Color I get to do is red/violet, of course. Why not? Go big or go home, right? This was really fun to paint. Not only is the chica hilariously witty, she trusted me enough to let me experiment with her beautiful hair.